Have you ever thought that the way you like to travel has a lot to do with the way you are? As a big, diverse city, Bogotá has tons of options depending on what you think is the best accommodation for you. This article will guide you through some very good options so you can enjoy your stay in this awesome city. A sprawl like Bogotá has millions of accommodation options and it can be a pretty hard task to find somewhere to stay, but it does not mean that it is impossible. In fact, it’s the challenge is in your favor because you have the opportunity to choose any accommodation depending on your preferences. Fancy staying in a historic area? Or perhaps in one full of nightlife? Bogotá has it all! When travelling to Bogotá, if you are that person who doesn’t focus on finding somewhere fancy, but is rather interested in going out for the night close to an area where you can immerse yourself in Bogotá’s culture and history, then you definitely need to stay somewhere around the historic city center (geographically located in the southeast of the city, by the mountains). Here you can find very interesting neighbourhoods where you would be able to explore different dynamics of the city directly associated with its history. In La Candelaria (read our article Best Neighborhoods in Bogotá: Why You Should Stay in La Candelaria to know much more) or La Macarena, two of the most traditional, historic and cultural neighborhoods of Bogotá, you are not going to find the fanciest accommodation, but they do have something unique and special in every corner; you just really need to go out and find it for yourself, which also means having a considerable level of curiosity and wonder (even getting lost in the streets can be an amazing experience). There are millions of things to do during the day and night: museums, churches, local shops, universities, libraries, cafes, clubs, restaurants, etc. Everything you can imagine related to the history and traditions of Bogotá, you can find it in the city center in neighbourhoods such as La Candelaria or La Macarena. 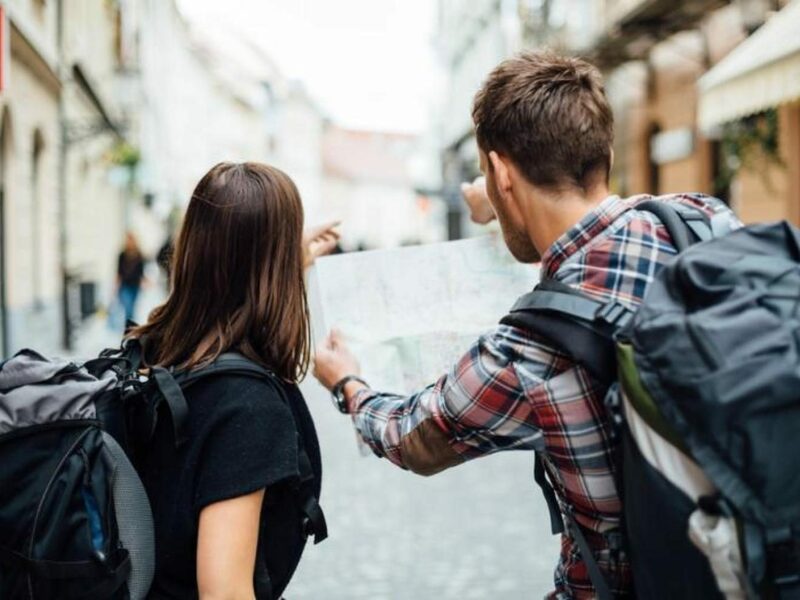 Travelling comes in many forms, and for some people, going to another place is also an opportunity to treat themselves with the best things while having a relaxing, enjoyable time. Well, Bogotá has some areas that can be considered “fancy” such as the Zona Rosa, Chicó (read our article Your Guide to Bogotá’s Chicó Neighborhood), Usaquén, Quinta Camacho, or Santa Bárbara (read Best Neighborhoods in Bogotá: Santa Bárbara). All located in the northeast, they offer the finest activities to do and places to go, with some of the most expensive and recommended shops, restaurants, bars, and the best, most luxurious accommodation. Usaquén is known for the Sunday market and for the top restaurants in the city (to know more read The two flea markets you cannot miss in Bogotá: San Alejo & Usaquén). Zona Rosa has high-end malls, boutiques and fashion stores, and very popular bars and nightclubs too. Chicó has restaurants and more high-end stores, and numerous top hotels where you can stay, while Santa Bárbara offers some of the best rental apartment accommodations and cafés. Quinta Camacho has a unique mix of traditional houses and modern, fancy restaurants, theatres and hotels (when The Rolling Stones came to Bogotá in 2016, they stayed in Hotel Casa Medina, located in this neighbourhood). If this area suits your travel personality and you are wishing to have some luxurious days in Bogotá, then you can visit Hotels.com (https://es.hoteles.com) to find the very best accommodation. Some people find it better to go out and explore more than the usual tourist attractions in a city as diverse as Bogotá. Teusaquillo or Chapinero are some of the coolest, centrally located areas to do just that because you can find alternative, modern-mixed-with-traditional places and activities. From vegetarian restaurants, LGBT nightclubs, cozy cafés, or local bookshops (just to name a few), in Teusaquillo or Chapinero you’ll find insanely interesting things to do and places to go if you decide to stay over there and chances are that you’ll find cheaper accommodation whether it’s in a hostel, a hotel, residence or a host family. I particularly recommend two types of accommodation within this area: hostels or apartment rentals. In Chapinero you can find CX Hostel (https://www.cxhomehotel.com/), and in Teusaquillo, Casa Capital (https://www.casacapitalhostel.com/es-es). Both offer a range of excellent services and accommodations for a very reasonable price and in a great location. In the case of apartment rentals, take a look on Housing Anywhere (https://housinganywhere.com/s/Bogot%C3%A1–Colombia) to find good accommodation for a nice price. Fancy sleeping in a residential area, therefore, more quiet and calm? Bogotá also has countless areas to do that. If you are the type of person that, when travelling, enjoys staying away from noisy, vibrant areas so you can have your beauty sleep, then I would recommend staying around the northern part of the city, or in any neighbourhood that has “merely residential” in its appearance. Residential areas are the best idea because they give you the opportunity to experience a local “familiar” atmosphere, while giving you the chance to truly, fully rest (meaning that when it’s time to enjoy, then enjoy, but when it’s time to rest, then really rest). Neighbourhoods such as Rosales (though this one is quite expensive), Mazúren (read our article Best Neighborhoods in Bogotá: Mazurén) or Colina Campestre are worth a look if this is your type of preferred accommodation. Try apartment rentals for these kind of areas because as they are more residential, it’s usually more difficult to find hostels or hotels. Take a look on Housing Anywhere (https://housinganywhere.com/s/Bogot%C3%A1–Colombia) to find good accommodation for a nice price. Travelling also gives you the opportunity to engage with communities and leave a local impact. For many people, actively staying and helping with communities wherever they travel is the best way to grow, to understand where you are, and to experience how diverse and beautiful our world is. If you are the type of traveller that is looking to share an amazing experience where you can feel the truest social dynamics of the city, then I would recommend to stay somewhere around the southwest part of Bogotá. Areas such as Bosa, Ciudad Bolívar, Fontibón or Kennedy would be a good idea to socially engage with a local cause. These areas are quite challenging, and you have to be careful, not so much about your security, but about your emotional strength, because staying around here would show you some hard, many times unbelievable, stories of life, but it also has the most beautiful and inspiring ones too. Room rentals would be a good idea if this is your type of plan when coming to Bogotá. Take a look on https://colombia.gabinohome.com/en/rooms-rent/bogota to find some good options, and for the lowest prices. Before wrapping up, I would like to give you one last, but very important piece of advice: when you have already decided on your accommodation in Bogotá, wherever it is, an excellent option would always be to stay with host families that are happy to welcome you into their homes. This way, you’ll get to experience local culture and life; it’s truly something you won’t forget. If you are interested in this option, or want to know more about it, write to [email protected] or read our article Finding Accomodation in Bogotá: 3 Reasons to Do a Homestay. Let me just restate that Bogotá has something for everyone, and wherever you stay it will be an enjoyable experience (read our article Is Bogotá safe? All You Need to Know About Safety in Bogotá to know basic tips about safety). So what are you waiting for!? Come, enjoy, explore, and choose between many accommodation options depending on your travel personality. Was this article useful? Do you know more tips/places to live in Bogotá? Or maybe an experience you would like to share? Please visit our homepage Colture and take a look at my articles and many others to find more essential information about Bogotá before or during your trip.